A payday loan is a type of short-term loan that is intended to help you make ends meet between paychecks. In Nevada, the amount received is generally between $100 and $500. This type of loan is not intended to solve long-term financial issues, but is intended for minor expenses that cannot wait until your next pay period. In the state of Nevada, you could qualify for anywhere from $100 and $500. The final amount you are approved for will be based on your income and your ability to repay the loan. When you arrive at Nevada Title and Payday Loans, Inc., a loan representative will determine the amount. Once you arrive at a convenient Nevada Title and Payday Loans, Inc. location, you could get the cash you need in as little as 30 minutes. Loan terms and frequency may vary. Please check with a representative from your local Nevada Title and Payday Loans, Inc. for all the details. If I already have an outstanding payday loan, can I still qualify? You will need to check with a loan representative at you local Nevada Title and Payday Loans, Inc. location, since loan terms and frequency could vary. Nevada Title and Payday Loans, Inc. does not report to credit agencies if you default on your loan. Our loan representatives at Nevada Title and Payday Loans, Inc. are prepared to work with you in order to setup payment arrangements in accordance with state regulations if an emergency causes you to miss your payment. Please check with a loan representative at your local store location for full details regarding this matter. In the state of Nevada, you do have the ability to refinance your payday loan. To find out more information, please contact your local loan representative. The team of professionals at Nevada Title and Payday Loans, Inc. is trained to work with you on setting up arrangements for repayment that are in accordance with state regulations to ensure you are able to fulfill your payday loan obligations. 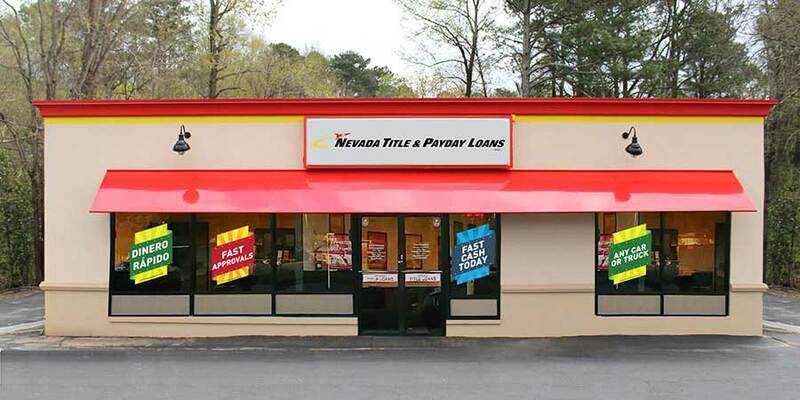 Once you arrive at a Nevada Title and Payday Loans, Inc. store location, you could be approved for your payday loan in as little as 30 minutes.